The photos on the North Island that everyone takes. Well, there’s no such thing as originality, so the best way to approach taking photos in New Zealand is to do what everyone else is doing. All these photos of the North Island have been tried and tested to ensure you that all your friends and loved ones will be insanely jealous when they see them. From Hobbit Holes to Maori Hongis, you’ll want all these photos on your New Zealand bucket list of the North Island! Oh don’t worry, there’s more on the South Island too: 10 Token Tourism Photos You Have to Take on the South Island. Pretend to be a Hobbit going over to a friend’s house for elevenses, or steal some Hobbit mail, or whatever! You can’t capture the magnificence of these trees without hugging them. Disclaimer: Only hug Kauri tree which are protected by boardwalks. Kauri dieback disease spreads by standing on the roots so help prevent it by only hugging selected tree. Everyone wants a photo of a sign pointing to their home country, showing how far they have travelled by posing next to the sign at Cape Reinga! A favourite token tourist photo of the North Island is skydiving with something witty written on your hands. 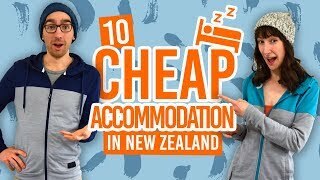 We even did it ourselves for Day 300 of New Zealand’s Biggest Gap Year web series where we did 365 Days: 365 Activities in New Zealand. Location: Could be in all these places: 11 Places to Skydive in New Zealand. Just popped out for a bit of shopping, stopped off at The Champagne Pool on the way – no biggie. Check out this geothermal feature at Wai-O-Tapu near Rotorua. Of course, this is just a seasonal photo. But there is no better way to make your family jealous at Christmas. For more things to do for Christmas in New Zealand, see here. Location: Any beach in NZ! If in doubt just think, WWFASD? (What would Frodo and Sam do?). And for more LOTR locations, feast your eyes on 23 Lord of the Rings Locations You Can’t Miss in New Zealand. Tirau, in the Waikato region, has a giant sheep and a giant dog. Get face-to-face with a Maori… literally, with the traditional greeting called a Hongi. Maori will be happy to show you a Hongi at one of these cultural experiences. Because you are one crazy cat! There are many awesome beaches in the North Island to get this token tourist photo.